Thousands across the country will be turning to four-legged forecasters with names like Wiarton Willie and Shubenacadie Sam today to learn if spring is just around the corner. According to tradition, if the groundhog sees its shadow when it emerges from its burrow on Groundhog Day there will be six more weeks of winter. But this year's festivities have already been marred by the death of one prognosticating marmot. Groundhog Day celebrations have been cancelled in Manitoba due to the death of Winnipeg Willow, who died last Friday at the Prairie Wildlife Rehabilitation Centre. Wiarton, Ont., is holding a festival to celebrate 60th anniversary of predictions by the town's albino groundhog - Willie. 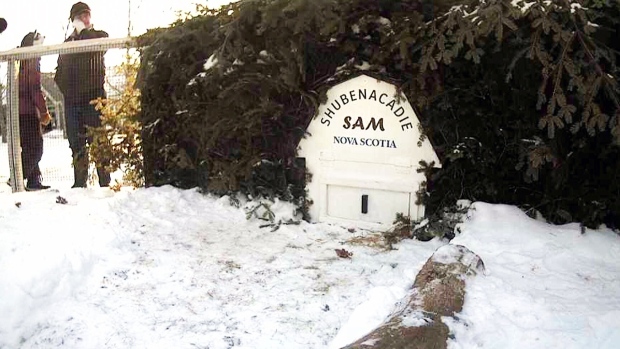 Nova Scotia's Shubenacadie Sam has the honour of making the first North American prediction of the day due to the province's time zone. Pennsylvania's Punxsutawney Phil, arguably the best-known weather predicting woodchuck, noted Winnipeg Willow's passing with his handlers saying they were surprised by news of the death of Phil's colleague.